Orphaned at a young age, the lives of Rosie, Gavin, Nell, and Kevin are irrevocably intertwined. Rising from poverty, all four go on to stunning success: Rosie as an award-winning costume designer; Gavin as a world-renowned Hollywood actor; Nell as the head of a global public relations company; and Kevin as the head of the NYPD Crime Intelligence Commission and a leader in the fight against organized crime. Told with the broad scope and narrative power characteristic of Barbara Taylor Bradford, this book is the story of a family formed by fortune, not blood, as they lose their innocence, follow their passions, triumph over adversity, and ultimately transform their own lives. 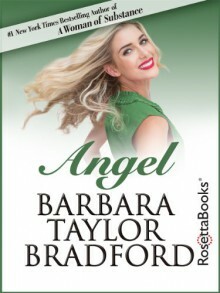 Barbara Taylor Bradford is a #1 New York Times bestselling author. Born in Britain, she began her career as a typist at the Yorkshire Evening Post at the age of sixteen, later serving as the fashion editor of Woman’s Own Magazine and a feature writer at the London Evening News. Her debut novel, A Woman of Substance, sold more than 30 million copies worldwide and became one of the top ten bestselling novels ever written. Bradford has written 28 subsequent books that have sold over 89 million copies in more than 90 countries around the world. Several of her novels have been made into television miniseries and movies. In 1999, she became the first living female author to be featured on a postage stamp; in 2003, she was awarded a place in the Writers’ Hall of Fame of America, and in 2007, she was inducted into the Order of the British Empire.